A Morecambe pub has had its licence suspended following allegations of drug dealing on the premises. 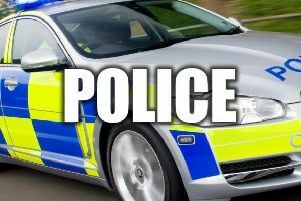 During a recent undercover police operation, three men were seen dealing cocaine to customers of the Bradford Arms on Queen Street in Morecambe. As a result, three men aged 33, 23 and 35 were arrested last Wednesday March 15 on suspicion of supplying a controlled drug and have been bailed pending further enquiries until Wednesday March 29. Licensing Officer PC Andrew Taylor said: “Following the arrests, we applied to Lancaster City Council as licensing authority for a review of the premises’ licence. The licensing authority decided in the circumstances, to take the interim step of suspension of the licence with immediate effect pending a full review of the premises licence taking place at a later date. “We are committed to ensuring that all licensed premises, including public houses and takeaways, are run in accordance with the objectives of preventing crime and disorder, public safety, protecting children from harm and the prevention of public nuisance. Where licensees are not adhering to these, we will work with the council to take action as we have in this case. If you spot any suspicious activity in any licensed premises, you can report it to police on 101. Alternatively, Crimestoppers can be contacted anonymously on 0800 555111 or online at crimestoppers-uk.org.